One of my favorite sights at Christmas are the illuminated paper bags that line walkways and sometimes the tops of houses. I wondered how this tradition began and thought you might be interested too. Pinning down the actual start proved harder than I thought. There are many different ideas about luminarias, including what to call them. I’ve read many accounts and will share the most common with you, but I would love to hear your thoughts below if they differ from what I’ve learned. Luminarias first began as bonfires lighting a path. 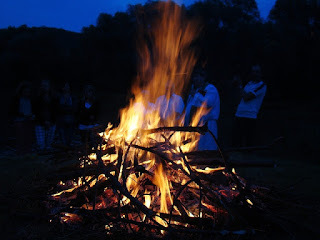 The story is told that these fires were lit at so Mary and Joseph and the Christ child would find their way to a welcoming place. Some believe a type of luminaria lit the way in Bethlehem. People lit luminarias to show that Christ was welcome in their house. One of the first mentions in North America of the lights comes from a journal of Spanish explorer, de Sosa, when he was in what would become New Mexico. He mentioned the lighting of fires along the trail to guide soldiers to the camp. He referred to the fires as luminarias, establishing that as a name for the guiding lights. Small campfires were used as luminarias until the 18thcentury when Chinese lanterns were introduced to North America. The lanterns were not as convenient to use since they were fragile and costly. When paper bags were invented in 1872 and brought west on the Santa Fe trail, people discovered they could put sand in the bottom of the bag and insert a small candle in the sand. This option was much cheaper than the lanterns and became the popular tradition that continues today. Over the years, in New Mexico, there has been great controversy over what to call the holiday lights. 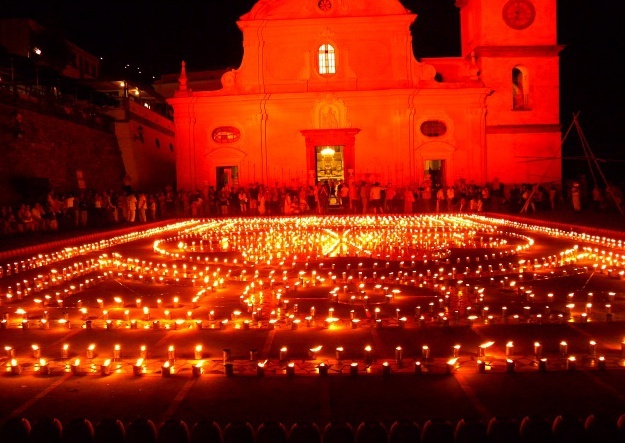 The term luminaria means light. But in Northern New Mexico they prefer to call the lighted bags, farolitos, which means little lantern. The issue about which is correct is a long debate. In the end, they are both beautiful, and have such a similar meaning, that I don’t understand the conflict. 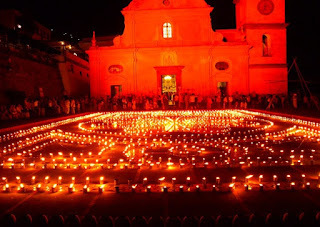 Luminaria in Italy on August 1st. 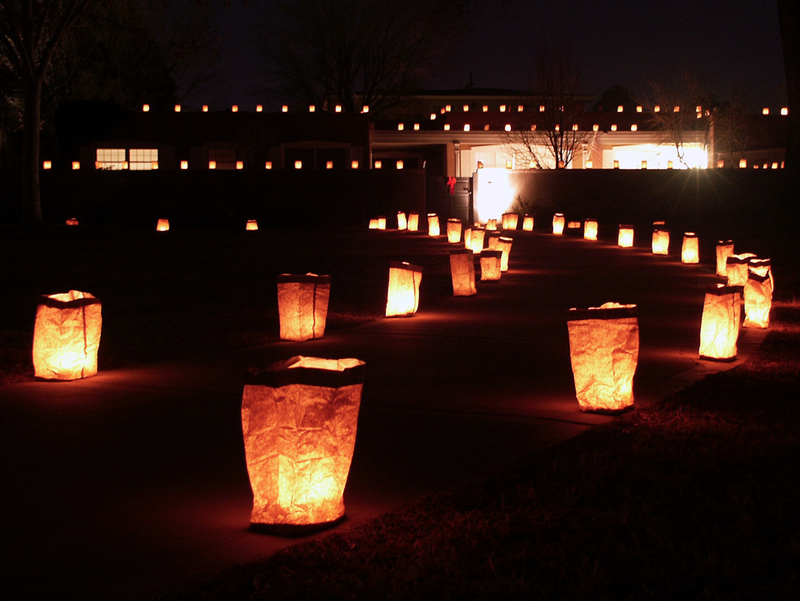 Luminarias are used in many communities across the United States and in other countries. Each community has their own emphasis on why they carry out the tradition. Not all are for Christmas either. Some are to light the way to church. Some light the way for the Christ child. Some light the way for Pa Pa Noel, or Santa Claus. No matter the reason the flickering lights inside the paper bags are beautiful along a walkway or road. They are a sign of caring and hope. I do love this tradition. What about you? 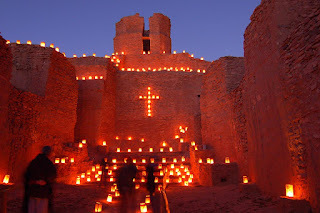 Do you use luminarias or farolitos? Do you have a different understanding of the tradition? 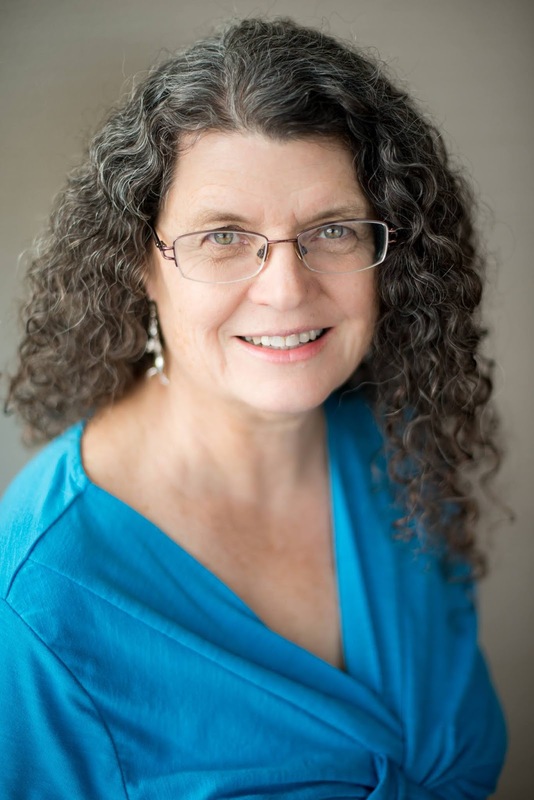 I would love to hear from you and learn more about this fascinating custom. I've never been in an area where luminarias are popular. They are pretty. I'm intrigued by the idea that soldiers would light fires to show the way for others to find their camps. I've always thought that there wouldn't be many fires and thus less chance to be found by the enemy! Thanks for the post. Merry Christmas! An interesting thought, Connie. I guess the fires depended on location and circumstances. Thank you for commenting. There is something about light in the darkness that brings hope. Thank you for this lovely post. Thank you, Davalyn. Yes, the light does represent hope in the dark. Great thought. When I think of luminaries, I always think of the American Cancer Society and how we light luminaries in honor and in memory of those who are battling cancer or have battled cancer and passed on. These special bags with lights allow us to pause and think about those people. I didn't know this, Melissa. What a beautiful thing to do. Thank you for sharing.